Lama Rabten Rinpoche giving the first consultations in the newly constructed Medical Center. 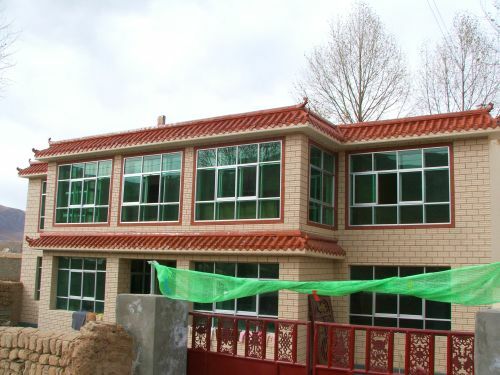 The design, layout and decoration was the work of Rinpoche and his Tibetan assistants, in accordance with their traditions. 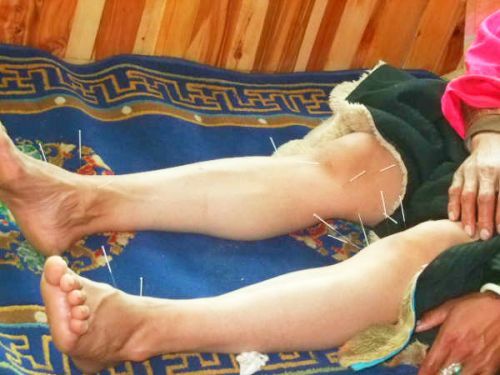 Lama Rabten Rinpoche practices traditional Tibetan as well as Chinese medicine. 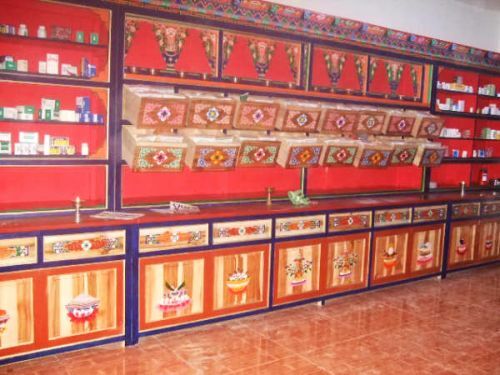 This magnificent traditional medicine cabinet is the result of many hours work from dedicated Tibetan people.